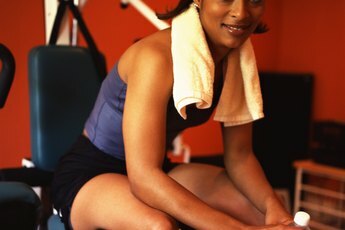 Using a Total Gym provides an alternative to lifting weights. Total Gyms are an exercise machine that uses pulleys and an angled, adjustable bench and are not unlike a Pilate's reformer machine. Instead of lifting weights, you pull or push the pulleys to lift and lower your bodyweight; the steeper the angle of the bench, the more challenging the exercises become. You can use a Total Gym to target every major muscle in your body and since this equipment is light and quiet during use, Total Gyms are suitable for home use. Located on the rear of your upper arm, your triceps primary job is to extend your elbows. To strengthen this muscle using a Total Gym you can perform a variety of triceps push down-type exercises including lying triceps extensions and kneeling triceps kick backs. Exercises can be performed using an alternating arm action or with both arms simultaneously as preferred. 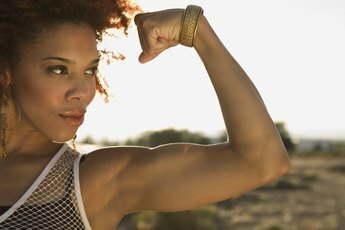 The biceps are something of a glamour muscle, and if someone asked you to show your muscles, chances are you will flex your biceps. The main function of your biceps is bending your elbow. You can work your biceps by performing arm curl exercises on the Total Gym. As with any biceps exercise, always keep your elbows tucked into your ribs to ensure that your arms are doing the work and not your shoulders or back. Properly called your pectoralis major muscles, or pecs for short, your chest muscles are responsible for flexing your arm forward horizontally at the shoulder. 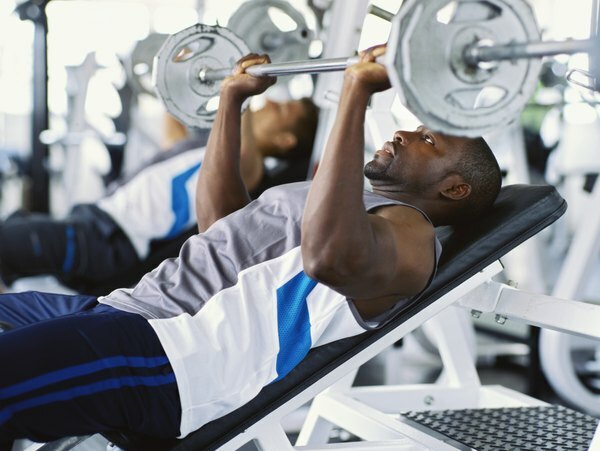 Weight lifters will strengthen this muscle by performing bench presses, dips and flyes. You can perform all of these exercises using a Total Gym, the only difference being that instead if lifting a weight you will be lifting your body. All pressing movements involve elbow extension and as such also involve your triceps muscles. Your back is a large and complex muscle group. Consisting of your latissimus dorsi on the side of your back, rhomboids and trapezius muscles across the rear of your shoulders and erector spinae running up the length of your spine, these muscles work together to help maintain an upright posture and are also your primary pulling muscles. To exercise these muscles using a total gym, perform a variety of rowing and pull down-type movements as well as pullovers -- a movement not dissimilar to swimming butterfly. 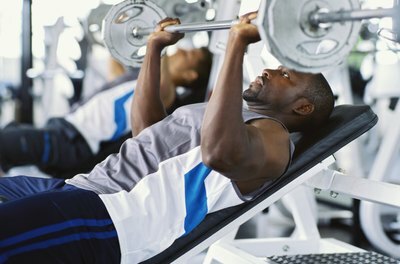 With the exception of pullovers, all back exercises also involve your biceps. Are Pushing & Pulling Exercises Working Different Muscles?